Get the Funk Out! : Donna Rawlins -animal-lover, writer, voice actor, singer, and songwriter joins me Monday on Get the FUNK Out! 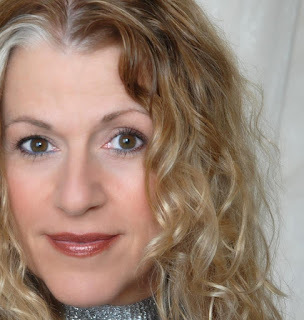 Donna Rawlins -animal-lover, writer, voice actor, singer, and songwriter joins me Monday on Get the FUNK Out! Monday on Get the FUNK Out - special guest Donna Rawlins joined me on the show! If you missed Donna, you can listen to the interview here. Donna Rawlins, author of Skinny The Cat and the Magic of Kindness, is an animal-lover, writer, voice actor, singer, and songwriter whose songs have appeared in network television shows and major feature films including Mr. Woodcock, The Bold and the Beautiful, The Unit, The Shield and Dawson’s Creek. Donna’s abundant national television commercial credits include Sears, United Airlines, Macy’s, Suzuki, PetSmart, Hillshire Farms, Birds Eye, Tilex, American Century Investments, and the American Clean Skies campaign. She is the voice of numerous audiobooks such as Jane Jacobs’ The Death and Life of Great American Cities (50th Anniversary Edition), Sidney Sheldon’s Tell Me Your Dreams, Tami Hoag’s, Taken by Storm, Margaret George’s Memoirs of Cleopatra, Laura Zigman’s Animal Husbandry, and Jane Heller’s Female Intelligence. Donna was also featured as the character BT in the premier season of the Japanese anime series .hack//Sign. Originally from the small town of Lancaster, Ohio, the Los Angeles–based writer comes from a family of five musicians and currently resides in Venice Beach, California with her husband, Robert Feist, owner of Ravenswork Studios. NEW Show Promo for Get the FUNK Out!